Well, it’s another year, so another trilogy of straight to home release DC animated films. Now last year wasn’t an incredibly good year for DC, they didn’t really manage to get anything right. The live action films didn’t live up to the standard, but the animated films, DC would normally get at least one really great film, but reflected in the fact that the DC animated films, for the first time ever, did not play a part in my best of the year list in 2016. Out of all the three DC animated films last year, and I reviewed all of them, my favourite was Justice League versus Teen Titans, though it certainly was not for the Justice League being in it, in fact, that was probably the film’s biggest weakness. I mentioned that I was hoping that DC for their next set of films would actually try to use more variety of characters. Well, I kind of got my wish, since the next film would be based on the Justice League Dark comic. Now Justice League Dark is definitely a name that won’t be familiar to a large proportion of people, even within the comic world, considering it was moderately successful book during the new 52. I read the entirety of the series and enjoyed it for the most part. The series kind of had its ups and downs but it had some of the better tie ins to the new 52 event Forever Evil. The event itself being just ok! However, despite my praise for the comic I wasn’t entirely sold on the film especially since Jay Oliva is returning to direct it, but then I saw the cast was pretty dam good, including Matt Ryan returning from his brief stint as the character Constantine in the failed CW series to reprise the role and the fact that the story itself had been developed by J M DeMatteis and Ernie Altbacker, so I had something to go on. Though the cynical side of me said that this is just now a prelude to Justice League America and eventually a Trinity War and Forever Evil movie since DC still seems to be trying to pretend that the New 52 wasn’t a disastrous failure to re-boot the DC Universe. With all that being said, which one is accurate, and is the first DC animated film of 2017 an improvement over 2016’s lacklustre outing? Justice League Dark does not follow an exact plot from any of the Justice League Dark comic storylines, though does feature some characters that regularly appeared in the comic series, so for that purpose I will still give a brief plot synopsis, though I won’t go into too much detail since this film only last 1hr 15mins and to go into any major detail would basically mean I would have to spoil the entire film. A string of murders are taking place across America that the Justice League investigates. All the people that are committing the murders claim to see their victims as terrifying demons that they must slaughter at all costs. The League suspects that there is a connection to the magical world. Because this version of Batman (played by Jason O’Mara) is an idiot, he doesn’t believe in it until Boston Brand aka Deadman (played by Nicholas Turturro) sends him a message to seek out Constantine. Joined by Zatanna (played by Camilla Luddington) they track down John Constantine (played by Matt Ryan) to investigate the murders and what could possibly be causing them. They are working together as a team and are also joined by Jason Blood aka Etrigan The Demon (played by Ray Chase) and Alec Holland aka Swamp Thing (played by Roger Cross). There’s really not much more to the Justice League Dark film. It starts out feeling like a murder mystery, but then turns into basically an action horror film. Anyone familiar with the Justice League Dark comics and even Constantine’s failed CW series, will fit quite comfortably into it. It’s not really what I would call an amazing movie, but considering I just wanted to skip this one and go straight to the next couple of films, since the next lot seemed to be more up my street, I was surprised that this was somewhat an engaging film. Yes, no joke. Justice League Dark is actually dam good. Mainly because we dropped this bland and lifeless version of the Justice League that the DC animated films seemed to want to push constantly. The only one of the League that actually has any life is Batman, and wisely he is the only one character that sticks around to be a part of this film for any long period of time and not at all to do with the fact that this film was released digitally just before the Lego Batman film! No, no way, DC is not that desperate for advertising! The League is briefly visible towards the beginning and the end of the film, but you might be surprised to find, if you have been keeping up with these films, the league looks very different. Several members are rather absent or have changed completely. Hawkman is now apparently a member of the League despite the fact that he hasn’t been introduced in any of the previous films and Hal Jordan has been swapped out for John Stewart in terms of the Green Lantern’s, and again not been established in this continuity. It’s implied that some stuff has happened with the League off screen, however, that is not a good excuse. I wouldn’t have minded this much if this had been like the previous films where they all existed within their own continuity with some exceptions to the rule, however, these films clearly establish that they are all connected. That’s a minor nit pick, as I say, the League really doesn’t play a part. We swap for this new team and John Constantine is firmly established as the main character, despite the fact that Batman has the most prominent space on the box art. Constantine is probably the character that these films have got right in recent memory. He is written well and the writing shows clear understanding of what made the character good and enjoyable and it’s rather surprising because I am fairly certain that none of the writers who developed the story have actually written for any of Constantine’s books, the character being an Allan Moore creation so you can imagine the sort of thing that we are dealing with here if you are aware of his work. If John Constantine is written right, it’s a prime example of how you make an unlikeable character fun to be around. Because anything good with him in it knows not to make out that he is a good guy, but he is trying to do the right thing. Sort of a ‘the bad will fight the good’ type angle, though not in the whole suicide squad way. In all honesty though, the rest of the Justice League Dark are pretty good as well. I really like Zatanna in this film who is given time to shine, which is great, because she hasn’t had a chance to be in any of these films yet. They made very good use of EtriganThe Demon as well, who I was worried was going to be just a cameo considering that he disappears for a small portion of the first half of the film but then does eventually reappear and stays with the team for the rest of the film, which is great considering that he is basically being used in virtually all the best action scenes in the film. Deadman is in this film, but he is probably the one who is the most out of character, though it’s not to an absurd degree like, say Wonder Woman has been in these films. Why can none of these DC films seem to get Wonder Woman right? It’s a simple formula, truth, honour, compassion, there, done !!! Get that down, I will probably talk more about that when I eventually review Wonder Woman in the Summer. The other character I feel was slightly out of character, however, was also Swamp Thing. Now, granted, I haven’t read much of the character series appart from a few issues of the Allan Moore run of the book and some of Scott Sneider’s work as well as his crossover with Animal Man, side note, Rott World is probably one the best New 52 crossovers, and it’s well worth your time. Just make sure if you are going to read it, pick up Animal Man Volume 1 and 2 prior to it because both are a set up for it. So, granted, my knowledge of the character is not at its best, but I feel like the film took a lot of his humanity out of it. They get it right at he is an Avatar for The Green, something that was added into the DC Universe in New 52, though I am not sure if they are going to go into the whole trinity of Avatar thing anytime soon, so what’s the point, and they get his respect for plant life down. However, I don’t think Alec Holland was this opposed to humanity. Yes, he didn’t exactly like humans but he wasn’t this whole idea of ‘humanity screwed up the planet so I don’t care about them whatsoever’. I could be wrong on that one, and feel free to correct me, I especially didn’t read too much of his New 52 series, so please do correct me if you don’t agree in the comments section. If there is one thing that this film really had, it was a pretty good villain, a pretty good back story and a pretty good flowing plot. There is an issue, however, the plot is not all that great when you get down to it. It’s basically the characters reacting to something happening, going from one place to another and fighting a monster. Simple plot, but it doesn’t feel like it gets down to anything meaningful until towards the end of the film. Plus, for a film that’s meant to introduce us to the magical side of the DC Universe, for new people that are just following these films, it rather throws us in to the deep end. It’s not unlike say, the Dr Strange film which I reviewed, which had to introduce the magical side to the Marvel Cinematic Universe. Again, these are only minor nit picks. The one thing I was very pleased about, was the film feels no need to really crowbar in the Justice League and realises these characters are fine enough on their own and can support a film. There’s enough of a fan base here to make it work, and as a result it creates a much better film because it allows us to tell the story of these characters. It’s not especially a great story and it’s fairly basic, but if you enjoyed the comic series, like I did, there is definitely something here for you. The downside is, Batman is in the film!! But don’t get me wrong, I love Batman, when he is written right, this character is one of the greatest ever written, however, he doesn’t really belong in this film and has only been put in as a recognisable character. Granted, he does have some good action scenes, but he doesn’t get that many of them. He feels like more of an observer to the situation and after Constantine is put in the picture, he doesn’t really do anything. He just sort of stands in the background and occasionally helps out. This was not a crossover, so I don’t see why he is here. You could easily have taken Batman out and just had this plot, and while we are at it, also take out the rest of the Justice League because I am sick to death of them. 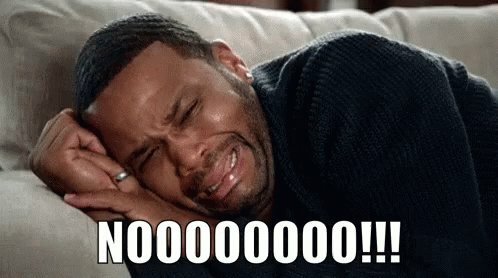 These characters are so screwed now that nothing you do can save them. Especially Wonder Woman. I feel very sorry because I think Rosario Dawson is putting a real effort into playing the character. Well that’s two reviews in two weeks where I have been able to talk about Rosario Dawson, she ought to be in every single comic film. The only thing to talk about is the villain. Now I’m not too aware of the villain this time but I think he is what we would normally call is Dr Destiny, although he is just called Destiny in this film. I could be wrong on that one, but I am fairly certain they are the same character considering they seem to have the same sort of Jewel that gives them power. It especially looks like the character’s Jewel in the first few issues of Neil Gamon’s The Sandman. However, I’m not certain it’s the same character because that character was all about dreams, this one just goes out and messes with people’s minds. As I say, I could be reading a bit more into this, so taking that out, he is a pretty decent villain. He has an alright plan, there is an interesting twist and he is played really well by Alfred Molina and he is a convincing threat and fortunately he doesn’t feel crowbarred in. If there is an issue with him at all, it’s probably than he’s an ‘evil for the sake of evil’ villain and we don’t really find out much about him until the second half of the film and even then he’s not the greatest villain in the world. He’s a perfectly valid threat for the Justice League Dark and fits in that environment, just not the greatest. Overall I am surprised that Justice League Dark has a plot that was as entertaining as it was. It’s not perfect and I would hardly call it great, many of the other DC animated films have done much better, but you know what, considering how low my standards have been with the recent films, I’ll take it. This film stands out for its actors. I still say Jason O’Mara is a pretty good Batman, but in this film he is not given too much time to shine. Matt Ryan on the other hand, reprised his role of Constantine brilliantly. If you are not incredibly aware of him, he played the same character in the CW series Constantine and he also was the voice of Edward Kenway in Assassin’s Creed 4. However, I think he was basically chosen because he is a man who sounds constantly like he is an American putting on a British accent, but that being said, he really makes this character and I can’t see anyone else playing the role, and once again, he is absolutely fantastic. He clearly has a passion for the character because he wouldn’t come back so many times to play him. Camilla Luddington is also excellent as Zatanna and really gets the character down brilliantly. Ray Chase does such an excellent job, I wasn’t aware that he was voicing both Jason Blood and Etrigan, I’m certain they are doing something to his voice, but to be fair, on his part, it’s still really not recognisable. Enrico Colantoni does a good job playing Felix Faust, who is another villain that I forgot to mention, because he is really rather pointless by the end of the film. Roger Cross does an excellent job doing double duty as both Swamp Thing and Green Lantern John Stewart, however, you would really not be aware of that. Jeremy Davies does a good job as Constantine’s friend Ritchie and Nicholas Turturro does a good job as Deadman, even if he can get slightly graining at times. Jerry O’Connell and Rasario Dawson return to reprise their roles of Superman and Wonder Woman, but they are not really in the film long enough to leave much of an impression. However, one of the stand-out performances, has to be Alfred Molina, who, once again plays an excellent villain and he was so unrecognisable, I didn’t actually realise it was him until the end credits. Now granted, if we are talking about the DC animated films, I think he did a better job playing Aries in the 2009 Wonder Woman movie, again I will probably discuss that in more detail when I review Wonder Woman in the Summer, but man, does he put his all into this performance. I do think Alfred Molina is one of those under-rated actors who we really should be paying much more attention to. Once again we have an excellent voice cast for these film, which is hardly surprising considering how good the voice directors that DC hires are. Presentation wise, I can’t really speak about the animation anymore because it’s exactly the same animation as all the other DC animated films, so if you really want my full thoughts on it you are probably going to have to go way back to my review of Justice League Throne of Atlantis, because at this point, I am just repeating myself. I think it’s good, I just don’t think it’s great and I think they have kind of shot themselves in the foot considering that all these films now have to replicate Jim Lee’s art style and it doesn’t entirely fit the DC Universe and nowhere is that more evident than Justice League Dark. That being said, the animators do use it to the best of their degree and it does come out looking pretty dam good with no real animation fluffs. Plus, the action scenes are shot brilliantly including some excellent choreography around Deadman’s set of powers. The new animation, the magical effects is pretty good and I really liked the animation on the House of Mystery. As far as films that go straight to home release are, this is pretty well animated once again. The soundtrack, well once again, for these films there’s nothing that really stands out, but it’s one of those where some of the tracks are well put together, plus I think this film had one of the best intro sequences of any of the recent DC animated films. Justice League Dark is not a great movie, but for what it’s worth, I actually kind of liked it. It feels like a breath of fresh air when pretty much all of the films up to this point seemed to on some levels, centred around Batman or the Justice League. This film is not entirely immune from that, but to go this far down the route shows that DC is at least listening to its audience. It doesn’t really offer up much in terms of a potential future with a Trinity War movie or a Forever Evil movie, like I predicted, especially considering how the film turns out in the end, however, it doesn’t change the fact that this one stands very well on its own. It does have the issue that some of the characters get the shaft or are not characterised very well, but overall the animation and the action are pretty good and the acting was done very well. 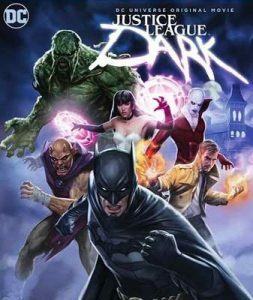 If you liked the CW Constantine series, you will really like this film and anyone who has read the Justice League Dark comics will probably get something out of it. Newcomers might have a bit of trouble acclimatising themselves to it since it only goes into Deadman’s origin and not any of the other characters, but I still think there’s something there for them. In fact, this film’s other big weakness is probably the fact that Batman feels rather crowbarred into the plot. As I said, not a perfect film, but a fairly decent one and I would quite happily see another one with these characters, though I suspect DC is moving on to other things. If you are at all curious, it’s available on Amazon video right now and you won’t even need Amazon Prime to access it and it’s available on DVD and BluRay next week 6 March, pick it up. The DC animated films will return later this year with Teen Titans The Judas Contract which I suspect if it takes all the positive points of Justice League versus Teen Titans will be a really good film. No mini reviews this week as I saw this film between Lego Batman and John Wick 2, so we are just going to move straight on. As we close out a chapter in our lives in what fells like the end of an era, join me on 10 March, with one of Hugh Jackman’s final performance of Wolverine, in the movie Logan. Thanks a lot for reading my review. I hope you have enjoyed reading it as much as I have enjoyed writing it, and I might actually go back to reading Constantine now.